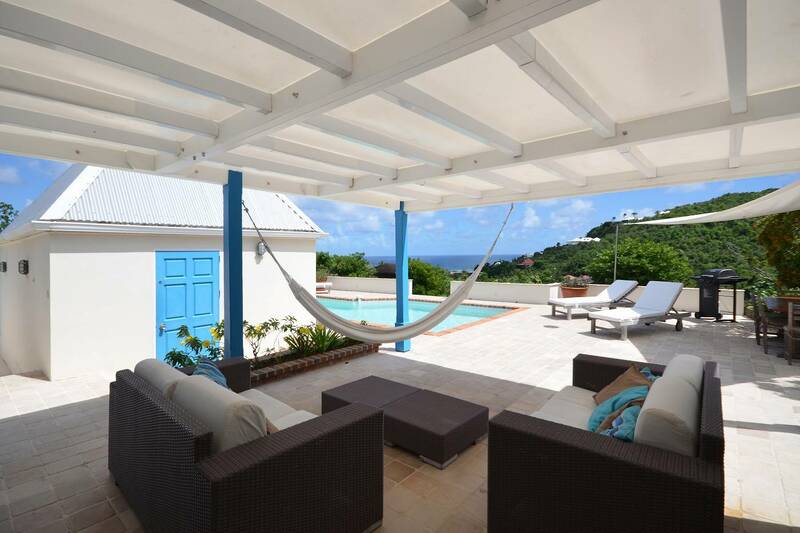 Dream About: Getting away to your charming villa and relaxing in a poolside hammock. 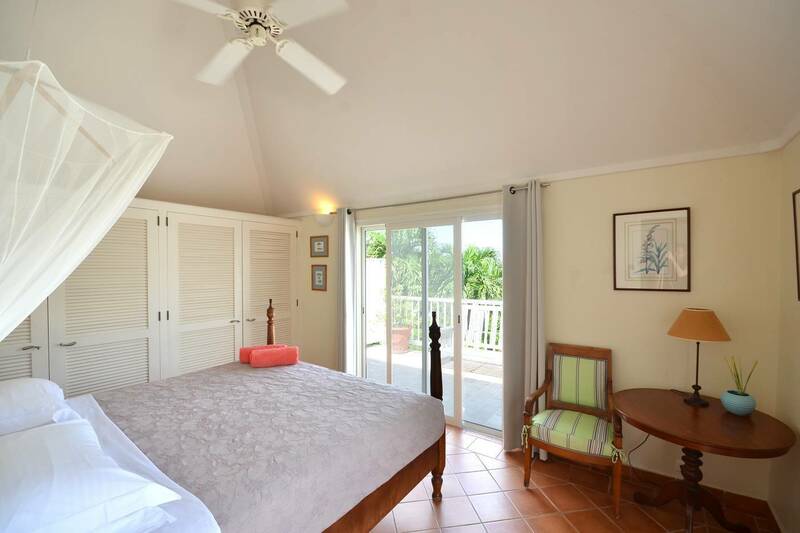 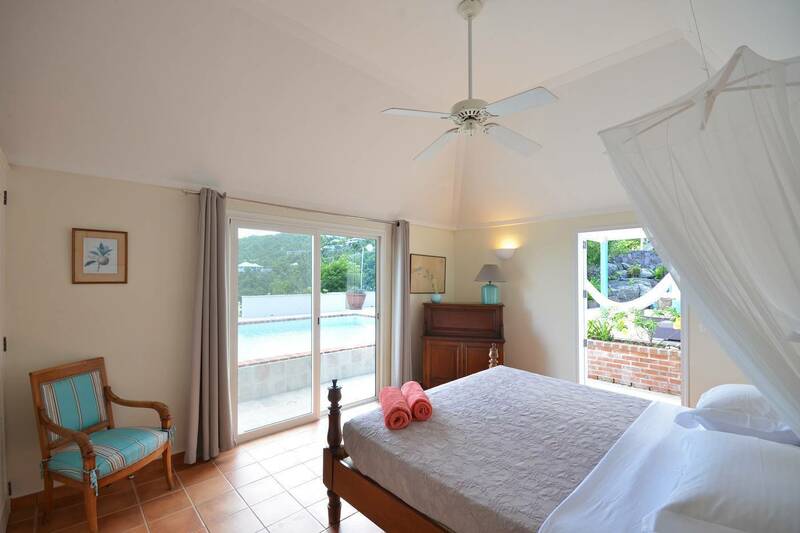 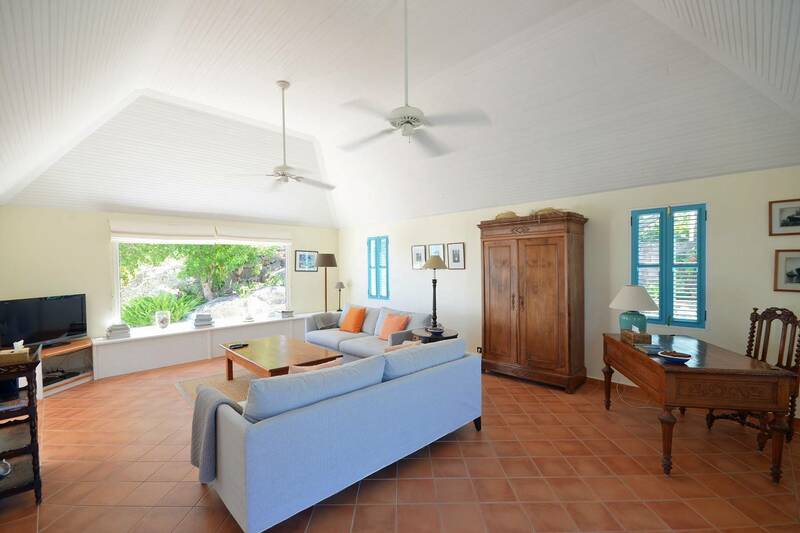 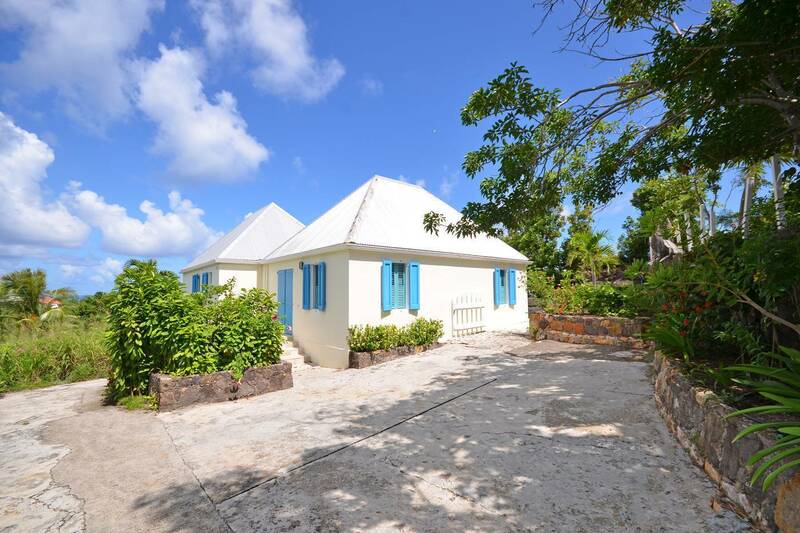 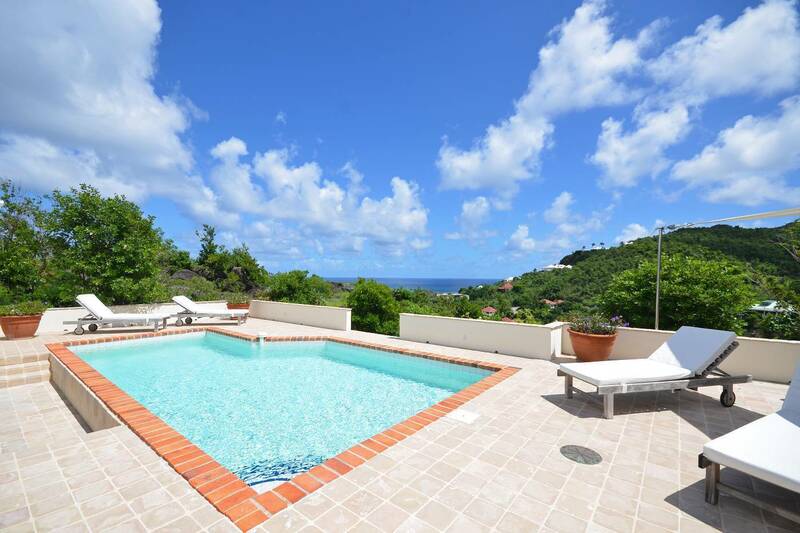 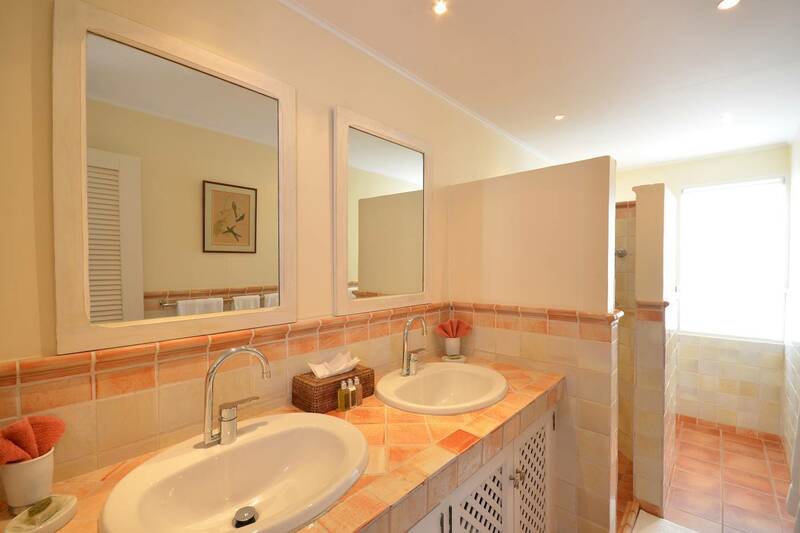 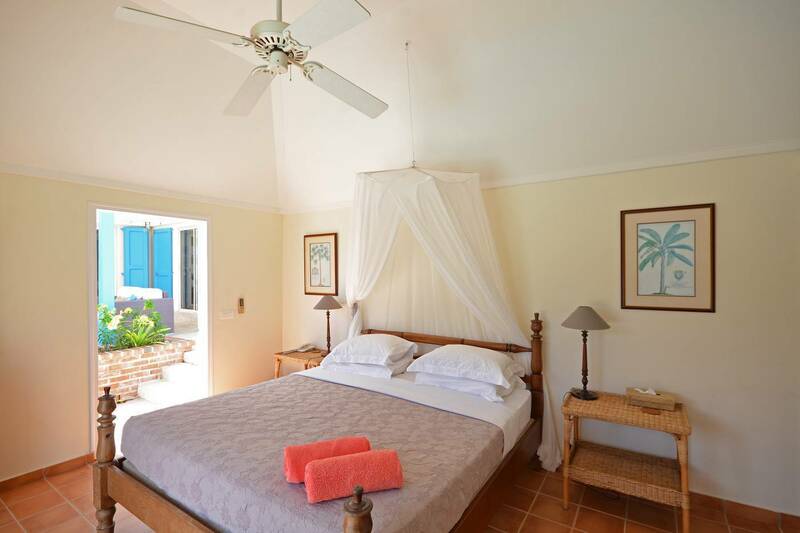 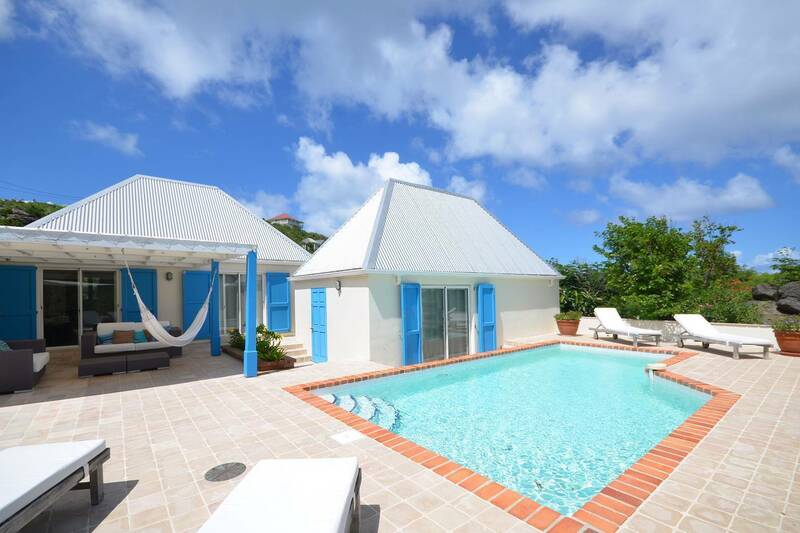 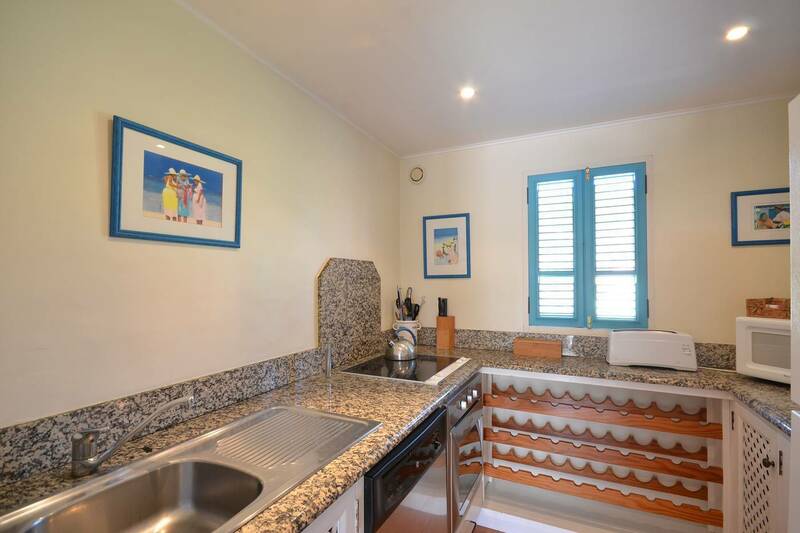 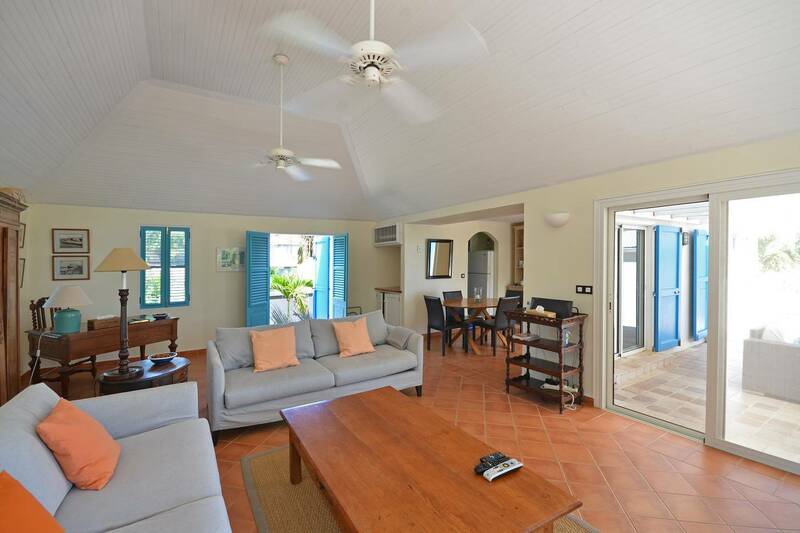 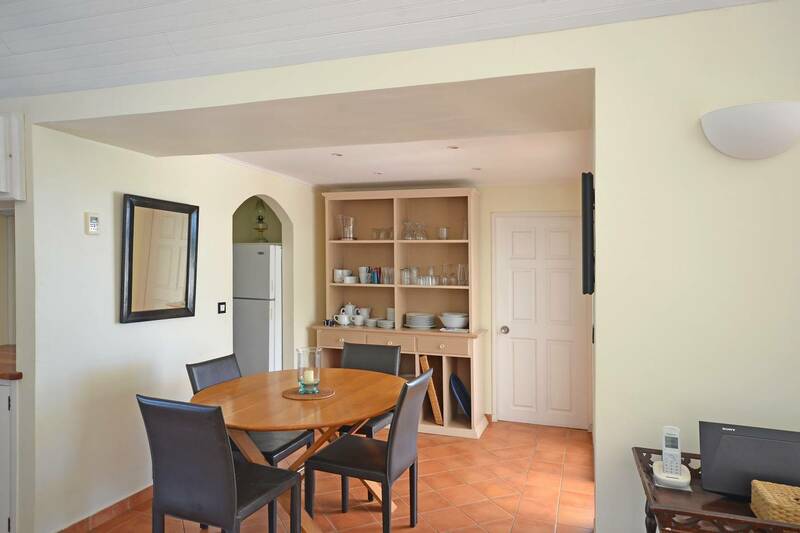 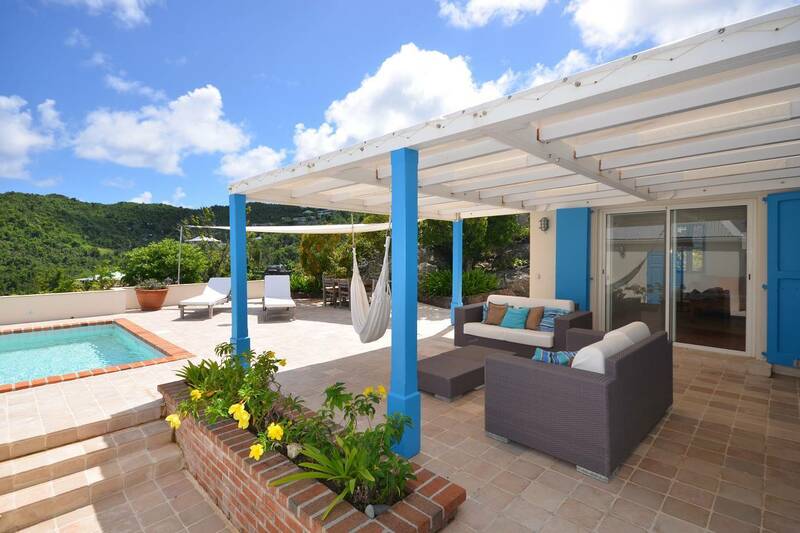 Well-located in Marigot, this charming two bedroom villa is convenient to beaches, shopping and many of the island’s acclaimed restaurants. 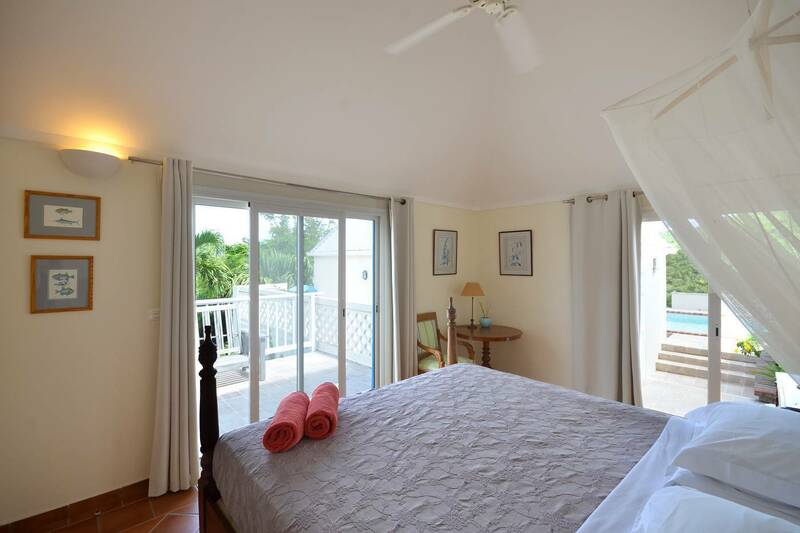 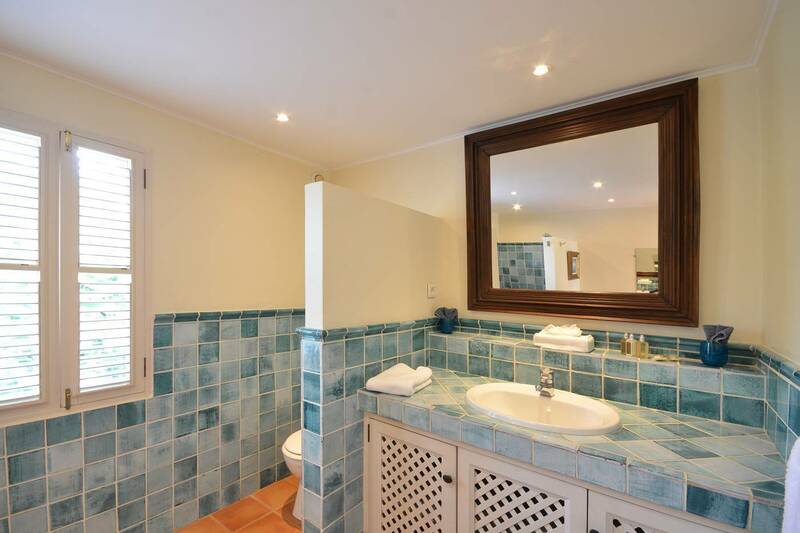 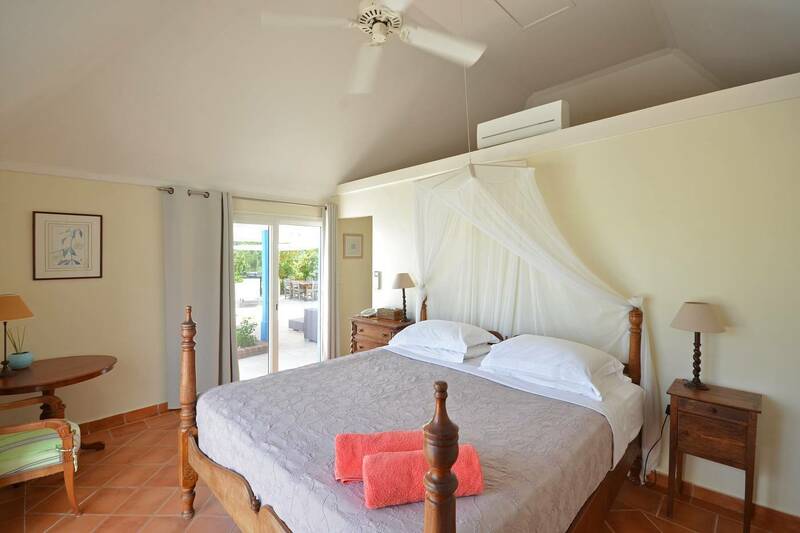 Both bedrooms have en suite baths;The guest bedroom is in a separate pavilion, and the master has easy access to the pool and main terrace. 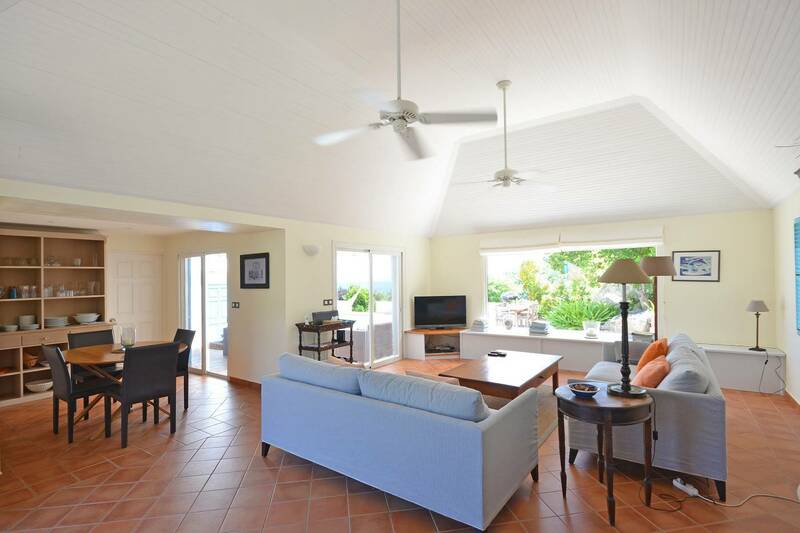 There’s a combined living-dining room, and the compact well-equipped kitchen opens to a covered dining area, boasting ocean views. 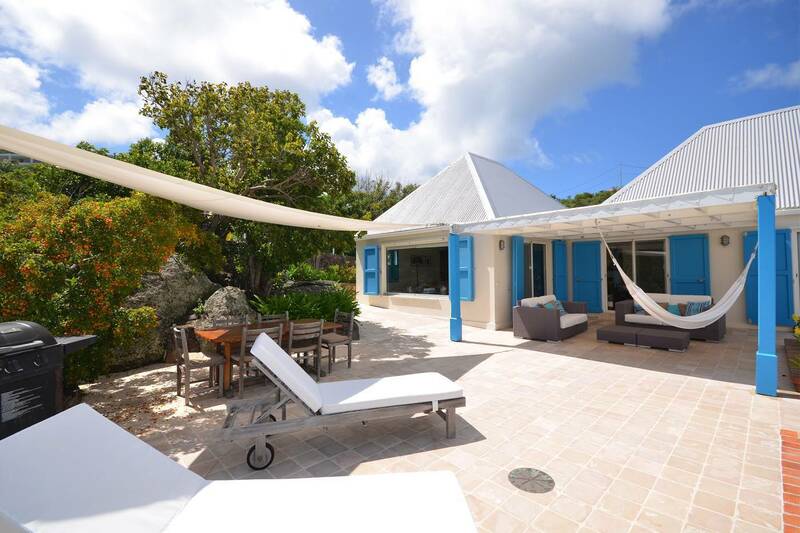 The covered terrace can be furnished for outdoor living and dining and is the perfect spot for a hammock. 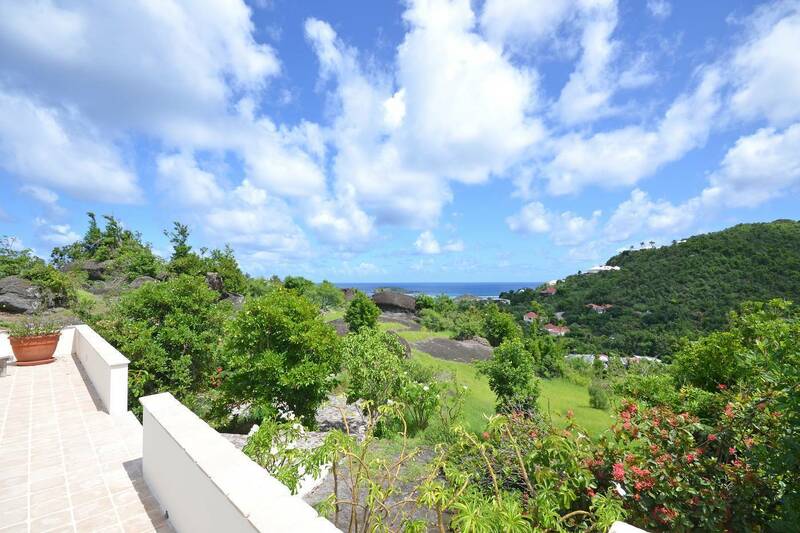 An expansive lot (buildable), surrounded by tropical gardens and striking rock formations, ensures a nice level of privacy. 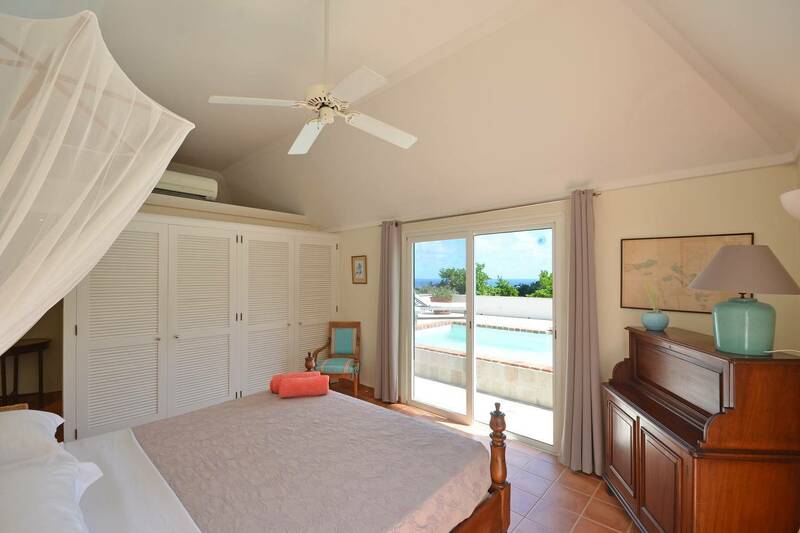 Two en suite bedrooms, compact kitchen, pool, indoor and outdoor living and dining and private buildable land.